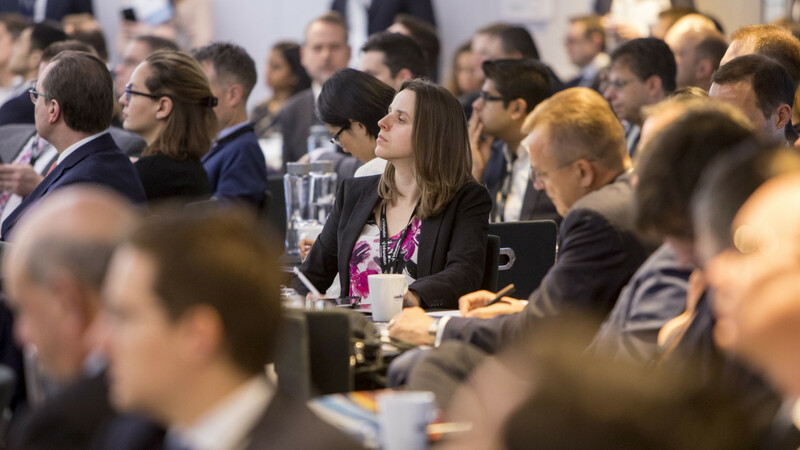 The thirteenth annual Infrastructure Investors Forum saw over 250 delegates descend to London’s sold out County Hall to set the agenda for the year ahead. 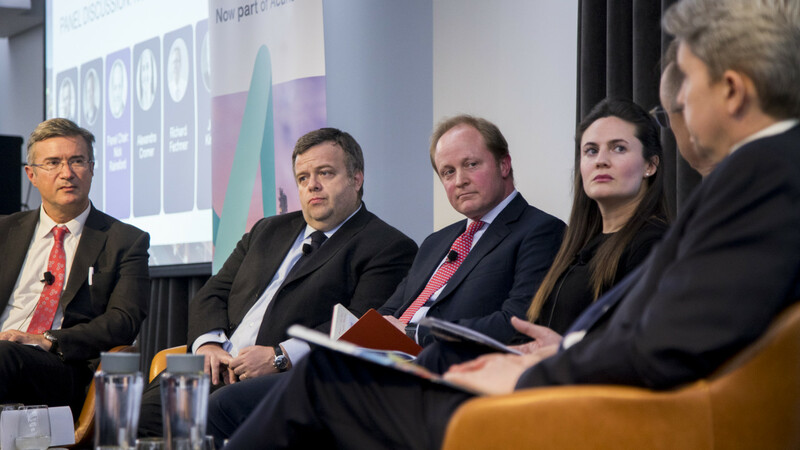 Through our expert panels of investors, delegates had the chance to understand the impact of increased competition for assets and growth strategies in an uncertain political environment. 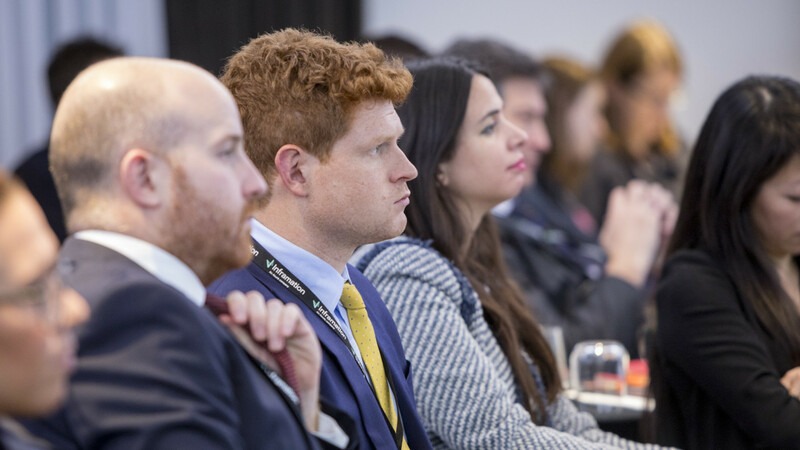 Attendance to our forum will give you unrivalled access to industry leading fund managers, institutional investors and funders attended by the industries movers and shakers from more than 20 European countries and beyond. Christophe Bordes is specialised in the Power, Utilities and Transport sectors. 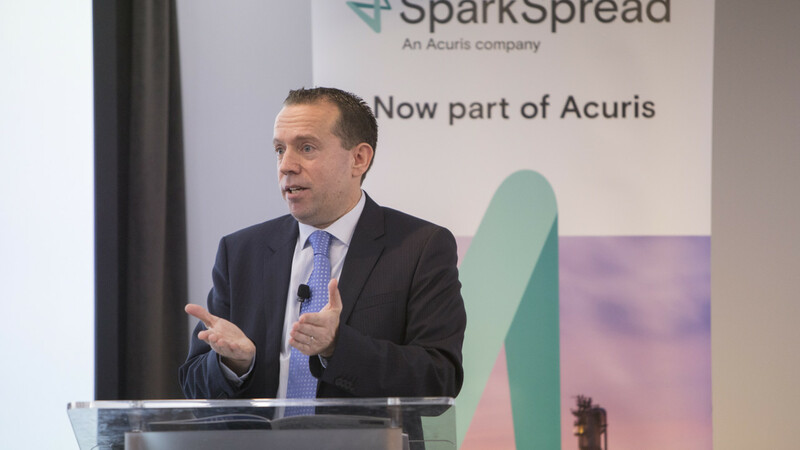 Focusing on infrastructure components for the last 20 years, he has advised clients in this area on more than 80 mergers and acquisitions transactions. Power generation, utilities, energy infrastructure and transport infrastructure are his areas of expertise. His EMEA focus gave him the opportunity to work in numerous regulatory environment as a well as tariff regime amongst others in France, Italy, Spain, Germany, Benelux, Poland, Sweden, Bulgaria, Slovakia, Turkey. 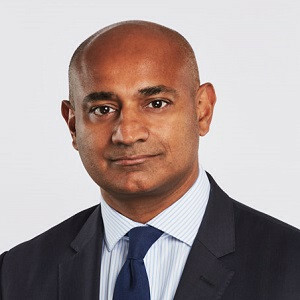 Darryl D’Souza has more than 19 years of experience originating, structuring and executing transactions across the infrastructure and asset finance and securitisation product areas. D’Souza is also responsible for managing the relationship with the team’s financial sponsor client base in the EMEA region. 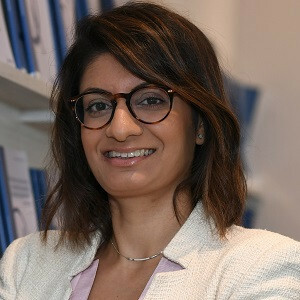 D’Souza joined MUFG in 2014 and has been involved in a broad variety of greenfield and brownfield transactions across various sectors including transport and social infrastructure PPPs, rolling stock and rail infrastructure financings, airport acquisitions, and regulated utility financings. 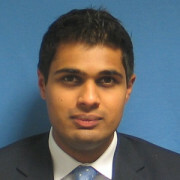 Prior to joining MUFG, D’Souza spent five years at DZ Bank, four years at DEPFA Bank, where he focused on securitisation and infrastructure finance and five years at New Boston Partners, where he focused on arranging tax structured asset finance transaction for rolling stock assets in Europe using US tax equity. D’Souza started out his career as a solicitor at Clifford Chance. 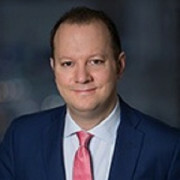 Derek Halpenny joined Global Currency Research at the Bank of Tokyo-Mitsubishi UFJ in May 1998 as a currency economist. 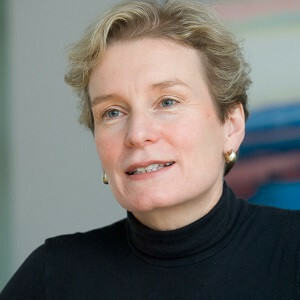 In April 2008 Halpenny was promoted to European Head of Global Currency Research, now Global Markets Research. Based in London, Halpenny is responsible for developing the London global markets research platform in support of MUFG’s foreign exchange sales and trading activities world-wide. Halpenny contributes to all of MUFG’s global markets research publications produced in London: Foreign Exchange Outlook, produced monthly; FX Daily Snapshot and FX Weekly; and FX Focus, produced on an ad hoc basis. Derek travels extensively throughout the world meeting clients of MUFG. Halpenny is often quoted in the Financial Times, The Wall Street Journal and in other newspapers and appears regularly on CNBC and Bloomberg TV and radio. Halpenny is also a regular guest on the Hard Currency FT Podcast. Halpenny is a regular contributor of articles to the Nikkei Veritas magazine in Japan. Prior to joining Global Markets Research, Halpenny served as a proprietary futures and options trader in London. 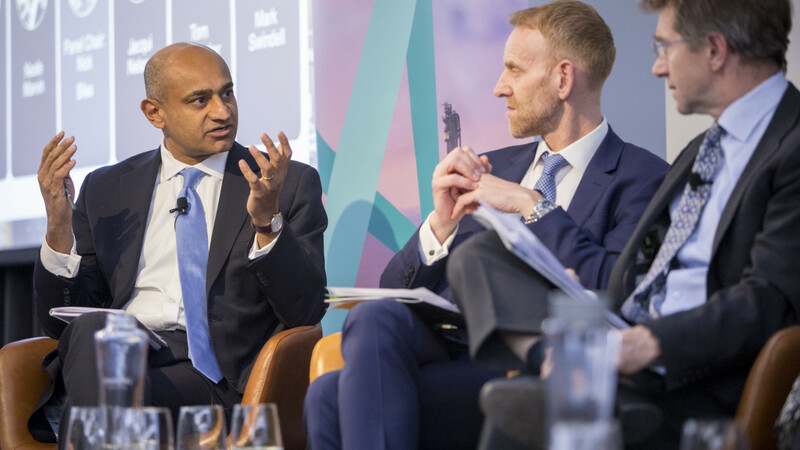 Kunal Koya is an Executive Director in the Infrastructure Investment Group within the Merchant Banking Division of Goldman Sachs. Koya joined Goldman Sachs in May 2013. 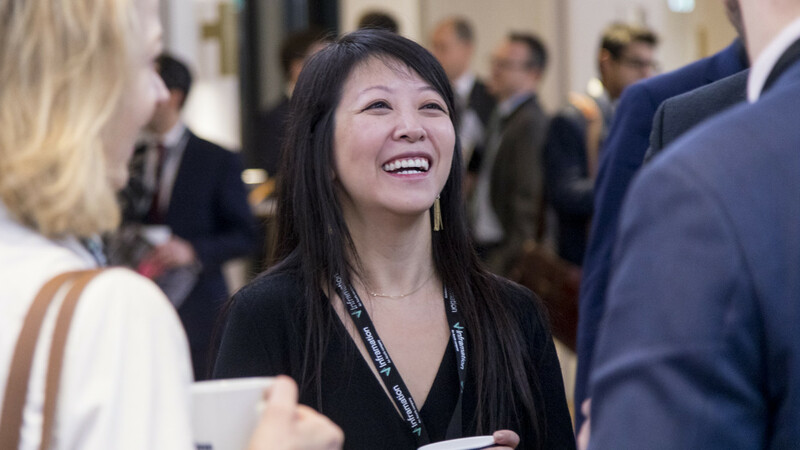 Prior to joining Goldman Sachs, Koya worked in the Utilities and Infrastructure team at Evercore Partners and in the Mergers and Acquisitions team at UBS. Koya’s portfolio company responsibilities at Goldman Sachs have included Associated British Ports in the UK and Elenia in Finland. Jacqui Nelson has more than 25 years’ experience in financing transportation assets and has particular expertise in the financing of rolling stock and rail infrastructure assets. 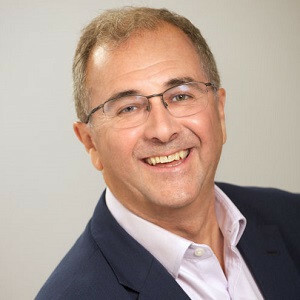 Nelson has acted on most of the major new passenger rolling stock financings in the UK since privatisation as well as provided commercial advice on the sale of ROSCOs and other leasing portfolios in the UK and Europe. Nelson has also been involved in developing financing structures for rail-related infrastructure. Nelson started her career as a structured and asset finance lawyer with Mallesons in Australia and Freshfields in London. 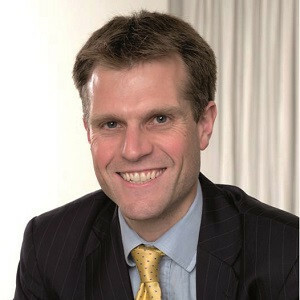 Nelson is a member of the London Chapter of the Ambassadorial Council for the University of Western Australia’s Business School which includes a group of prominent alumni of the University in major business centres world-wide. 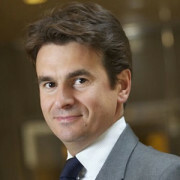 Jonathan Stevens, Managing Director, is the Head of the European Infrastructure Debt team within the BlackRock Real Assets business. Stevens is responsible for developing BlackRock’s focus in Europe on both directly originated and bi-lateral deals, in combination with agented transactions. Prior to joining BlackRock, Stevens had 18 years’ experience in leading the origination and execution of infrastructure transactions in the UK, Continental Europe, North America and Australia. In his last role Stevens was Head of European Infrastructure at CIBC and sat on its European Operating Committee and European Deals Committee. 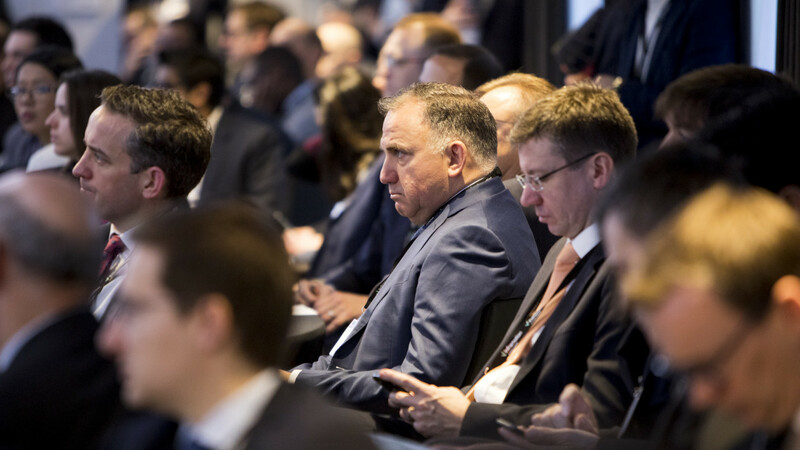 Previously, Stevens worked with Erik Savi and other members of BlackRock’s Infrastructure Debt team at WestLB where he led its EMEA Infrastructure debt business and its team of 18 bankers in London, Dusseldorf, Madrid and Milan. Sarah Tame is an associate director at EDHEC Infrastructure Institute based in London. She is also EDHECinfra’s chief communications officer and is responsible for EDHECinfra’s public facing activities. 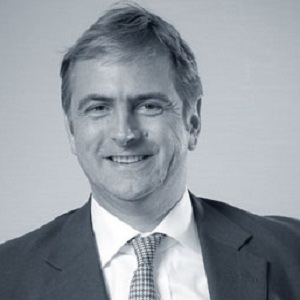 Tame is a former financial journalist specialising in infrastructure financing and investment. Sarah was Editor and Editor-in-Chief of a leading infrastructure publication. Tame’s writing on infrastructure has also been featured in the Sunday Times. Mark Swindell has over 33 years of experience working in the City of London, New York and Europe. For the last 25 years, he has specialised in developing innovative funding, financing and procurement strategies for major infrastructure projects and has worked on many ground-breaking PPP transactions. Swindell has worked to ensure that the interests of the public and private sectors are aligned to create long-term, privately financed projects with incentives which reward success against output driven objectives and which create substantially improved public sector value for money. As a lawyer, Swindell created and led DLA Piper’s Commercial and Projects group, which grew to 130 lawyers across Europe. This group completed over 160 PPP projects in ten different territories over ten years. 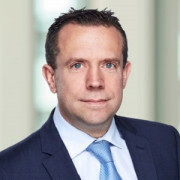 In 2007, Swindell became global head of the Infrastructure and Defence Sector at DLA Piper and was the principal editor of the five DLA Piper European PPP Reports published between 2005 and 2010. The last of these were sponsored by EPEC and the European Investment Bank. 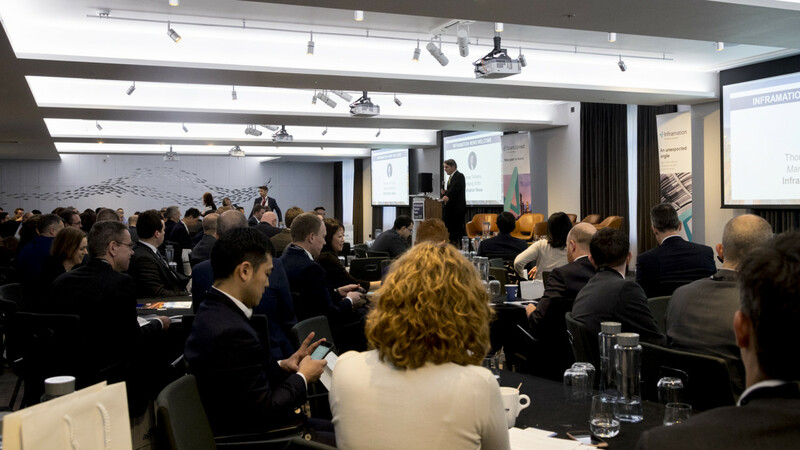 Swindell also chaired a market leader European round table conference. Since founding Rock Infrastructure, Swindell has been the principal advisor delivering the Mersey Gateway Bridge Project having been appointed Commercial Director in 2011 and has also been involved in the transformation of CAE’s Medium Support Helicopter Training Facility PPP at RAF Benson. Having set up Rock Rail in 2014, Swindell developed a joint venture with SL Capital to invest over GBP 2bn in new rolling stock for the UK, alongside long-term institutional investors. Robert Yuksel Yildirim was born in Sivas, Turkey in 1960. After 10 years of studying and working in the United States, Yuksel Yildirim returned to Turkey in May 1993. Yuksel Yildirim joined the management board of the family-owned company, located in Samsun at that time. The same year, he led the first international achievement of the company, directly importing coal from Russia. In October 1997, Yildirim Group of Companies moved its headquarters to Istanbul. 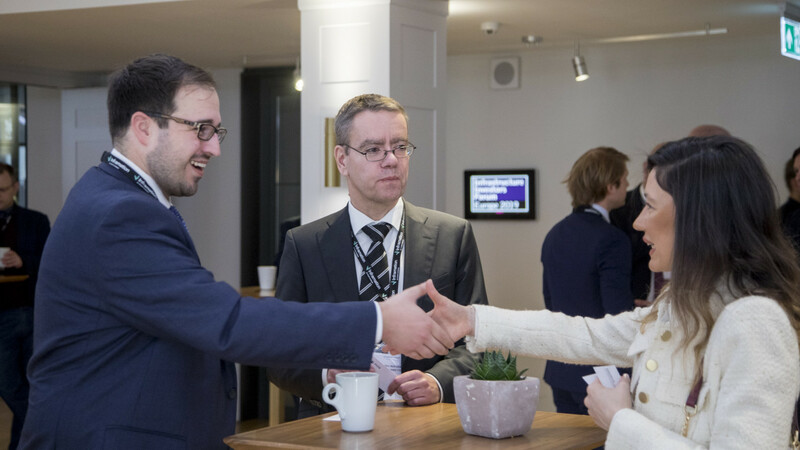 Yuksel Yildirim led the Group in new initiatives in the 2000s, and in 2008, the Group made its first international acquisition in Sweden. 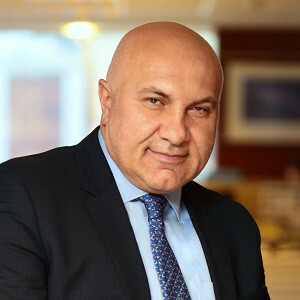 Yuksel Yildirim is the President and CEO of Yildirim Group of Companies. In addition to his responsibilities at Yildirim Group, he is a Board Member of CMA CGM Group. Based in France, CMA CGM Group is the third largest container shipping company in the world, and Yildirim Group owns 24% of its shares. In addition, he is a Member of the Board of Trustees at Garip & Zeycan Yildirim Foundation, and the Chairman of Foreign Economic Relations Board (DEIK) Turkey-Colombia Business Council.